This size fits most for doing events or work with small children! Handmade djembe with an well manufactured djembe body out of melina wood (Gmelina arborea). 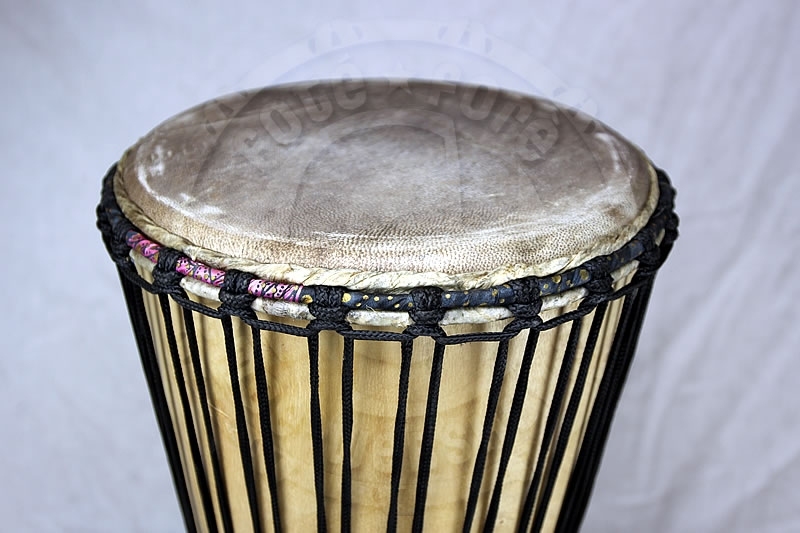 This djembe is like all other djembes out of our production in Guinea not comparable to other djembes from westafrican countries. 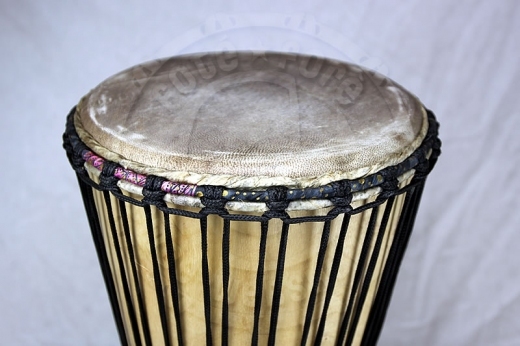 Guinea is one of the "djembe countries" due to it's culture and tradition. Malinke and Susu people are using the djembe for long. We put effort into the quality of our djembes. In our opinion it is a shame to waist resources like wood to prepare at least non-quality out of it. We care about a well done bearing edge, tight rings, inner carving, good rope and quality skin. 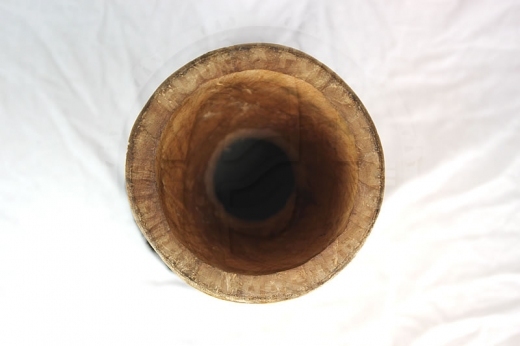 Our shells have an adequate volume to give the drum a voice. 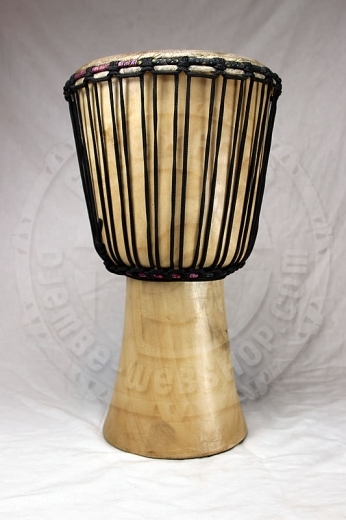 A shaved goat skin is on this djembe and a 5mm polyester rope in black.